One of a series of Freedom To Roam walking guides which celebrate the new-ish legal rights to walk in the English and Welsh countryside. This guide has directions and Ordnance Survey maps for 12 new walks between Greater Manchester and Yorkshire. 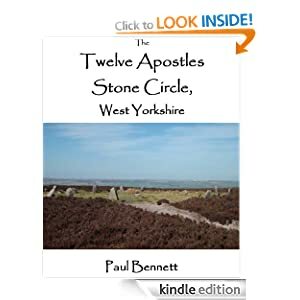 Highlights include Dovestone, Holme Moss and Standedge. The instructions are easy to follow and the small versions of the maps help enormously. Remember that people campaigned for years for ordinary walkers to have access to these places, most notably the late Benny Rothman to whom the book is dedicated. Having watched the extraordinary film of the same name, (surprisingly directed and co-produced by Sean Penn), I bought the original book. Chris McCandless had everything to live for but gave it all up to travel around North America. He deliberately sought remote locations and ended up in Alaska, arguably the ultimate wilderness. Although I already knew the tragic ending of the tale, the book helped me to try and understand the motives of such a person. Krakauer’s book mixes interviews, commentary and extracts from McCandless’s own letters and journal. When you are travelling you will inevitably go past some trees that you won’t recognise, whether you are in a car or on a train or a bus. 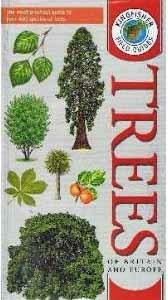 This handy slim-line book will help you identify the trees and give you enough background information. It works equally well for those of you lucky enough to have a garden where you might want to plant new trees. Beautiful photographs on every other page make this a very appealing and useful book. This personal, wide-ranging, and contemplative volume--and the last book Barthes published--finds the author applying his influential perceptiveness and associative insight to the subject of photography. To this end, several black-and-white photos (by the likes of Avedon, Clifford, Hine, Mapplethorpe, Nadar, Van Der Zee, and so forth) are reprinted throughout the text.